The invisible and unnoticed growth of mold on a vinyl siding can be caused by many possibilities. Malfunctioning gutters, running water problems, and malfunctioning or misplaced sprinklers are three of many more examples. 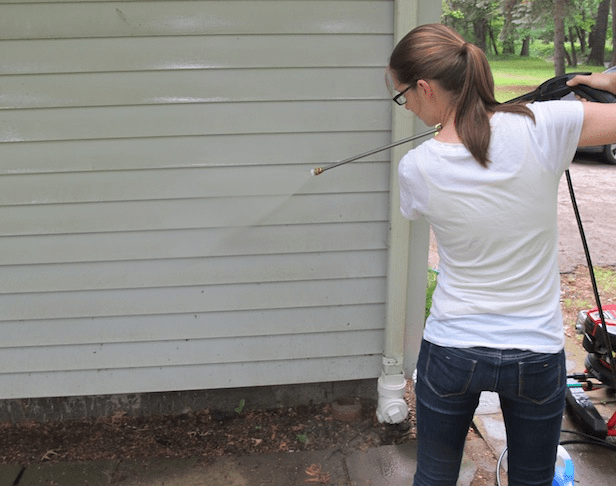 After dealing with those three causes, here we offer some steps to make your vinyl siding clean again. If there are electricity devices near the vinyl siding, make sure you turn it off and cover them with plastic sheeting, and secure the sheeting to the wall with duct tape to prevent electrocution and electrical malfunction. This is why the process of cleaning is recommended to be done during the daylight. You can choose the cleaning formula by yourself, but we highly recommend mixing of three parts distilled white vinegar with seven parts water in a bucket. In other way, you can also mix one part bleach with four parts water. Mixing both formulas as another alternative is necessary. After the cleaning formula is decided, dip a long-handed soft-bristle brush into the cleaning solution then scrub any visible mold gently, start from top to bottom. Now it is time to do the rough job. Having a power washer would really help you after you have scrubbed manually with the cleaning solution. Pour the cleaning solution into the power washer. 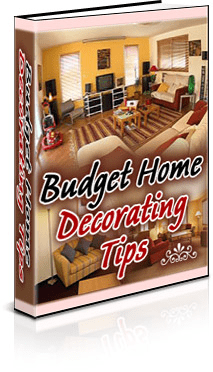 If you are sure that your vinyl is strong enough to be sprayed with a high pressure, it will be good. But using lower pressure is a wise choice to prevent you from damaging your vinyl. Different with the scrubbing process, start spraying from the ground to the top. 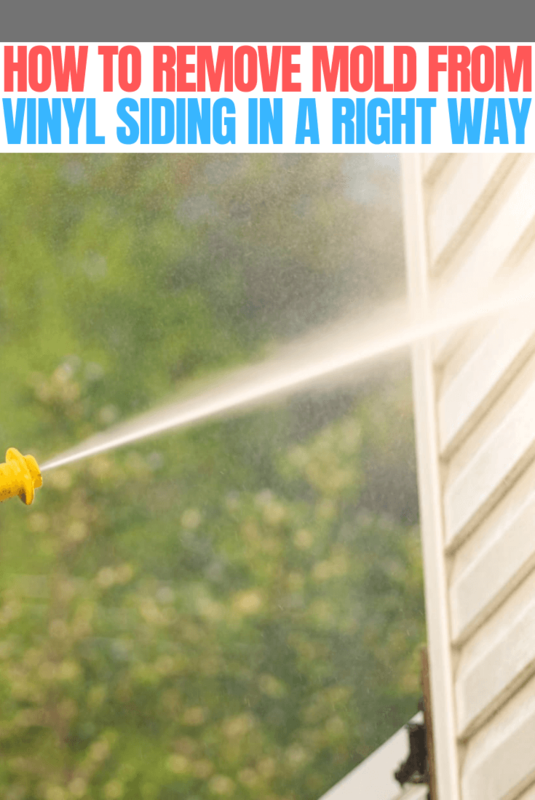 Keep the solution from seeping under the siding by not angling the sprayer upward during the cleaning process. Always aim the sprayer at the right angle so that the solution is sprayed from above. Spend the solution in the power washer until finally you rinse the sprayer with clean water. Use the clean water to rinse the solution off from the vinyl, start from the top so the water will flow down. This is the last step of the cleaning process. If you think you still find the mold on your vinyl, keep doing it from the scrubbing step until you think your vinyl is clean and bright. It is suggested that you use two power washers to keep the one filled with the cleaning solution and with clean water at the other one. Those are the steps that we can offer to you. 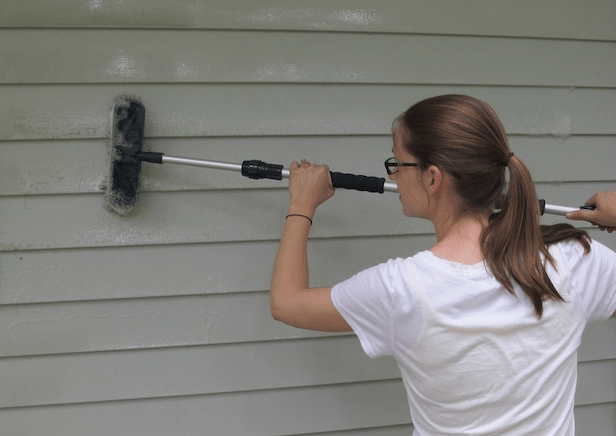 We believe that removing the mold from vinyl siding is not as hard as it seems. Good Luck!